Simply Said: Communicating Better at Work and Beyond (Wiley) provides the perfect mix of strategic and tactical advice to help professionals at all levels connect better. You will learn how to present with greater impact, run more effective meetings, write more clearly, develop stronger relationships, and stand out as a leader. Increase your effectiveness by applying Exec-Comm’s core philosophy: we are all more effective communicators when we focus less on ourselves and more on others. When you purchase the book from Exec-Comm you will receive exclusive access to ECLearn. Your ECLearn Simply Said toolkit includes strategy sheets, job aids, and more to help you put your new skills into practice. 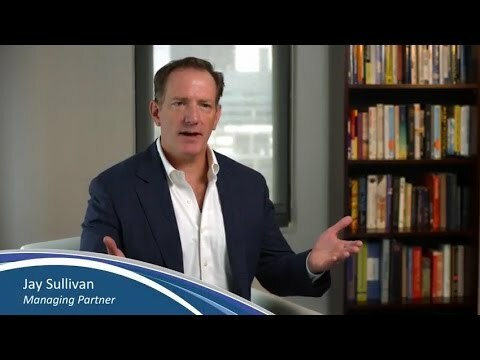 Sullivan highlights powerful ways that you can better connect with people. 'Simply Said' is a quick read that will help you improve the quality of your communications and become a more effective leader. Effective communication is absolutely critical to successful leadership. Sullivan reminds us that when we‘re communicating, audiences are listening to hear one thing: what does this mean for me? 'Simply Said' is a candid guide to improve our ability to connect with others, and as a result, improve our impact as communicators and leaders. Jay Sullivan's approach to communication — and the virtues of this book — extend well beyond how to speak and write more clearly. Embedded within is a deeper philosophy of leadership rooted in attentiveness to others that is both appealing and compelling. This book is a valuable resource to those who are, or aspire to be, leaders. Adhering to the mantra of the 'Simply Said' title, I have just one piece of advice: Read this book! You will learn how to communicate better by focusing less on yourself and more on others. The world would be a much better place if we would all talk less and listen more. 'Simply Said' shows us how to communicate effectively by focusing, not on our own perspective, but on the perspective of our audience and their interests. It is clear and engaging, and it is an invaluable guide to anyone who needs to communicate successfully to achieve the goals that matter to them – which is all of us. 'Simply Said' is an insightful and practical book that methodically outlines the keys to effective communication, and does so crisply and with style. 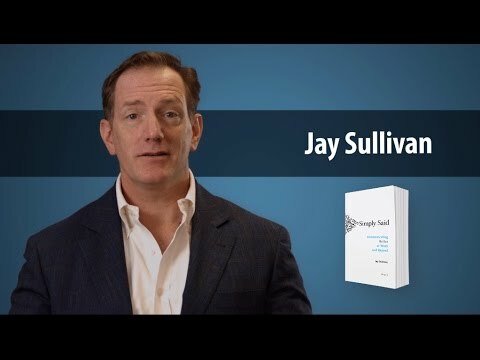 With this book, Jay Sullivan has created a comprehensive resource for systematically enhancing your communication skills. From small talk to presentations to leadership, communications are key. 'Simply Said' provides practical advice (or reminders) to ensure your success. Practicing what they preach, it is written in straightforward, simple language that’s about you and your success. I wish that everyone would read and absorb the clear and straightforward method of 'Simply Said: Communicating Better at Work and Beyond.' Hours upon hours of time would be saved, we would all be spared speeches and talks that do not get to the point, and we would understand each other so much better! I highly recommend Jay Sullivan's superb techniques. Being an effective communicator is no longer a 'nice' skill for some to have, it is absolutely a required skill for everyone to possess. The ability to truly connect with others is the key to building relationships and improving performance. 'Simply Said' is a must read for anyone who aspires to lead and influence others. This book is a must-read for anyone looking to improve their communication skills. As an experienced Human Resources executive, I have seen individuals' communication skills make (or break) their career. We can all stand to improve the way in which we connect with our audiences – pick up this book today! 'Simply Said' is a must read! It illustrates how effective communication positively impacts relationships, families and communities. Today's exemplary leaders can learn what works and what doesn‘t when they communicate. Jay has helped me to improve my communication by focusing on the audience and simplifying my message. Communicating one's message is the completion of the process and, with my improved communication skills, I find that I am a better strategic thinker and leader. 'Simply Said' is a great resource tool for business and life. Chief Executive Officer, President, RenaissanceRe Holdings Ltd.
'Simply Said: Communicating Better at Work and Beyond' delivers a simple message and a powerful method. Reading this accessible book would permit anyone to vanquish the challenge of connecting with audiences large or small. This is essential reading for students, executives, and, generally, for anyone who wants to be understood by others. Joseph Keating, S.J. Professor and Dean emeritus, Fordham Univ. In my more than 25 years in the business world and as a college professor, communication skills have consistently been the most important enabler for success and the skill that I still practice to this day. This book is the perfect communications ‘how to excel‘ guide for students and provides well-founded approaches and practical applications. This book will be my communications resource guide and I would recommend that all future leaders take the time to learn these skills and invest in their future. For help with your message, to organize training for your team, or to request a speaker for your event please contact us. For an article, interview, or excerpt please contact us. For relevant and timely advice, follow Jay on Forbes.com. Available in Chinese on Chief Executive China. Jay Sullivan is the Managing Partner at Exec-Comm, and leads the firm’s Law Firm Group. He is an award-winning author and columnist, as well as an Adjunct Professor at Georgetown Law Center. His book, Simply Said: Communicating Better at Work and Beyond, was released by John Wiley & Sons in 2016. As a contributing writer for Forbes.com, Jay brings relevant and timely advice on enhancing one’s communication skills to the business community.